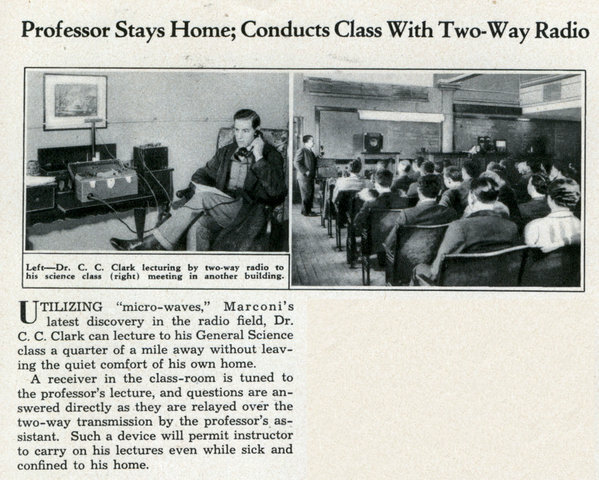 UTILIZING “micro-waves,” Marconi’s latest discovery in the radio field, Dr. C. C. Clark can lecture to his General Science class a quarter of a mile away without leaving the quiet comfort of his own home. 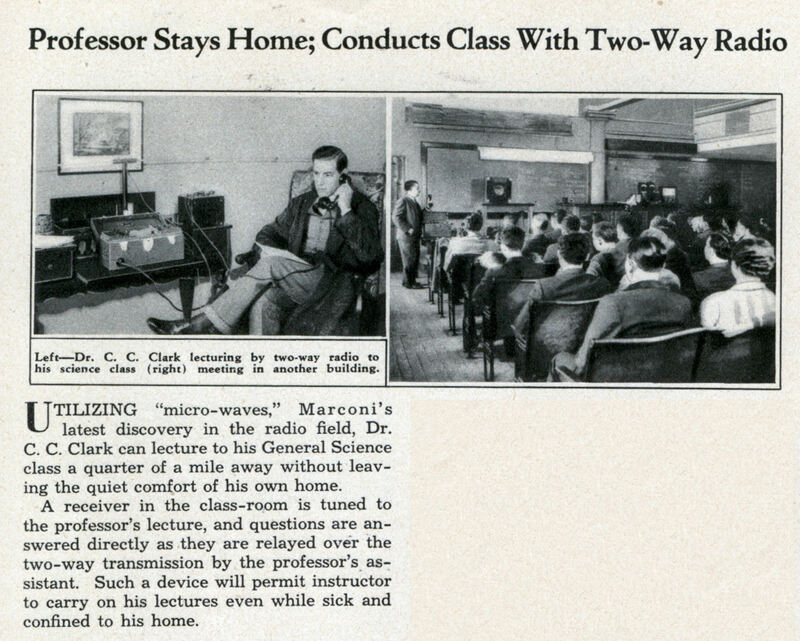 A receiver in the class-room is tuned to the professor’s lecture, and questions are answered directly as they are relayed over the two-way transmission by the professor’s assistant. Such a device will permit instructor to carry on his lectures even while sick and confined to his home. 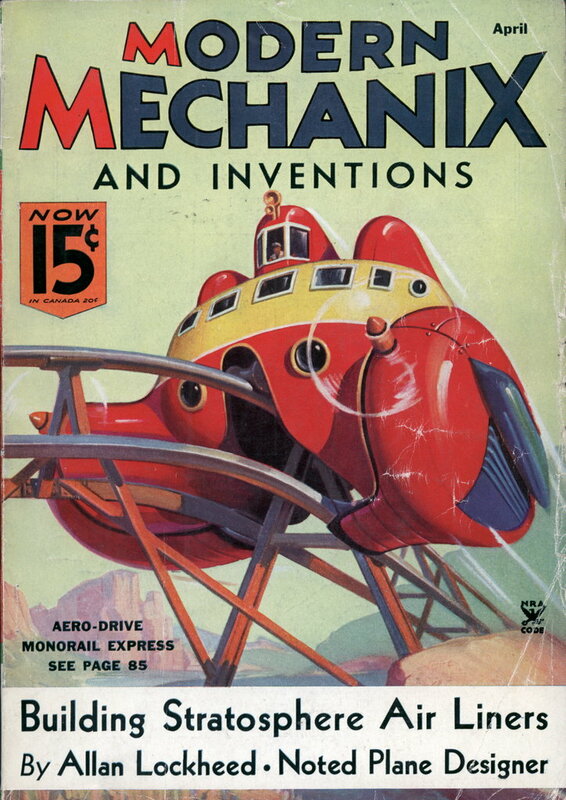 Wow, those “micro-waves” are cool! and why is the lazy professor home? Is that an antenna up against the wall? Which he is sitting right next to? At least his legs are crossed. Perhaps the professor isn’t being lazy but home under Quarantine to prevent his infection of students. Sounds like the school doesn’t belive in paid sick leave. Thus even in sickness they will work you into the grave.